Pella windows are available in wood, composite, fiberglass and vinyl windows. They offer five different product lines, many window types and shapes, a variety of glass selections, and an assortment of energy efficient and decorative options. No matter what your budget, design tastes or requirements for energy efficiency and performance are, there are options to fit your needs. Wood windows with exterior aluminum cladding. These high-end windows can be customized in any shape or size to meet any design needs. They include handcrafted hardware, an unlimited selection of colors, and HurricaneShield glass, which is extremely impact resistant. Wood windows with exterior aluminum cladding. This line is easy to customize windows allow homeowners to select from a variety of systems to change the looks, energy efficiency and noise reduction qualities of the windows. Select from decorative glass, between the glass blinds or shades, grilles and more to get just the look and features you need. Unlimited color selections are also available. Wood windows with exterior aluminum cladding. 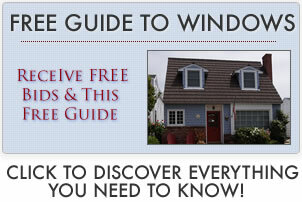 These windows offer the same performance and beauty as other Pella replacement windows, but on a budget. The line features standard sizes, a choice of white or primed wood interiors and exterior cladding in eight color choices, as well as factory assembly. Fiberglass windows. These windows are made from Duracast®, a fiberglass composite that is considered the strongest window material currently available (it’s nine times stronger than vinyl!). It is also durable and low maintenance and won’t react to extreme changes in temperature. Impervia ® windows come in a selection of frame styles and can be order in white, brown or tan finishes. They are also an economical option. These Pella vinyl frames, sold under different names at different retailers, are low maintenance, energy efficient, and relatively inexpensive. They come in a wide range of standard sizes and can also be custom ordered in additional sizes. They are available in white or almond and come with a variety of options. These windows are made from pine, with an option to upgrade to Douglas fir, mahogany or alder. Wood windows are clad with aluminum on the exterior for longer wear and easier care with one of two options – EnduraClad® or EnduraClad® Plus – although customers can also opt for all wood replacement windows. The EnduraClad cladding protects against moisture, mold, mildew and insect damage (such as termites) four times better than many competitors. Impervia, the fiberglass composite option for Pella replacement windows, is made from a material called Duracast®. This material makes the energy efficient and cuts down on the need for window maintenance. They are also extremely temperature resistant, impact resistant, dent resistant and scratch resistant and are considered some of the strongest replacement windows available on the market. Pella are manufactures vinyl windows that are energy efficient and low maintenance, although they have been criticized by many contractors for the low quality of their vinyl lines sold at stores like Home Depot. Pella windows are certified by the NFRC and tout Energy Star® labels. Their product lines that include low-e glass meet or exceed Energy Star® guidelines in each of the fifty states. Consumers can choose between a variety of energy efficient options, including insulated glass, laminated glass, triple paned windows, and more. These windows can also help to reduce external noise. Use of Pella windows can also earn LEED® points. Rigorous testing standards ensure that their windows live up to their name. All Pella windows go through testing to ensure that they can take all that Mother Nature can dish out, including temperature extremes, harsh winds, prolonged sun exposure, exposure to moisture, and even acid rain.